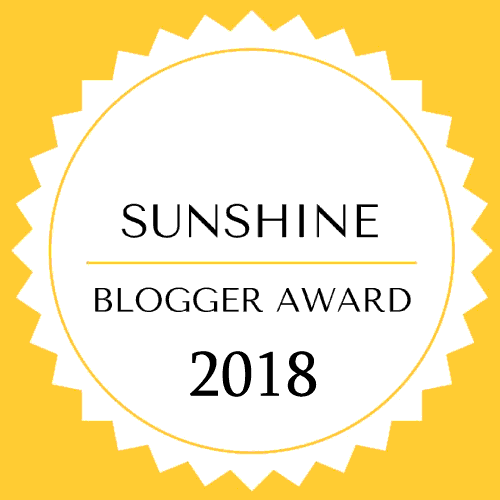 The Sunshine Blogger Award is given to those who are creative, positive and inspiring while spreading sunshine to the blogging community. It is awarded by bloggers to new bloggers to recognize their colourful efforts and offer support at their first steps. It is so encouraging to see people, who share the same passion (travelling!!) with you, read and enjoy your stories and they are willing to help the newbies! So, I feel very happy that My Shoes Abroad was nominated for the Sunshine Blogger Award 2018 thanks to an other travel girl @Tina who shares her positive stories here and nominated me! What are the rules of The Sunshine Blogger Award? What have you learned about yourself from travelling? The fear of losing the «good job/ salary / career» , the personal insecurities due to «safety concerns» around the world, the social and/ or family pressure of how you ought to live your life, the lack of friends who want to travel with you, the money that are never enough etc. are only some of the barriers especially when you want to travel long term. I learnt that WE set the limits regarding where, when and how to travel- people tend to use any kind of excuse and finally we end up staying in our comfort zone. I learned that I (and anyone!) can travel more and more when I really make the effort and create a strategy for that. Of course I was lucky enough to have this opportunity at the first place as I am a (nearly!) white person born in a Western country- so I also learnt about the privileges I have and those I haven’t (as a woman for example). 2. What’s the best travel advice you’ve received? About the workaway program! So happy that I was told about it! In an upcoming post I will explain how it worked for me! 3. What’s the travel advice you always give? Don’t be afraid to mingle with the locals , smile, respect their culture and ask (non offensive!) questions! This is the best way to get to know a country! For the same reasons avoid «all inclusive» hotels! What s the point of travelling on the other side of the world if you prefer to stay most of the time in a resort with a private beach and to stroll in a (western standards) shopping mall? 4. What’s your travel style – are you active and adventure driven or do you prefer to kick back and relax on your travels? When you travel for months you can’t have the same style every day, it is exhausting! Some days I am active (but not particular adventurous!) and I walk non stop , some days are spent on transfers from the place A to the place B while others for work or rest. 5. What movie, book or television show describes your travel style? Never thought about that before but I have a friend who says that I travel like Phileas Fogg from the book Around the world in 80 days!! I do use any kind of (usually) public transportation but I would never ride an elephant though! 6. What are three things that you take on all your travels and why? Apart from my passport, mobile phone and cards? My shoes (I usually design one pair for each trip) , my crazy colours lipsticks (blue, yellow, grey etc.) and my Kindle! 7. What’s the best travel deal you ever scored? Once, I booked a flight for £3 using these tricks! To be frank, I usually do not pay much for flights anyway but that was way tooooo cheap! 8. How do you learn about a culture that you’ll be visiting – read up before hand or get the feel for it once you arrive? I do and enjoy both. I love the research beforehand but I am also impatient to get the feel as soon as I arrive in a new place! 9. Are you an adventurous foodie? What’s the most unusual thing you’ve eaten and name something you won’t eat. Absolutely ! I eat a lot in local places and markets, street food and from stalls that most people, stereotypically, wouldn’t consider good enough to eat. I love trying new flavours! However, I am vegetarian and sometimes it is disappointed to see so few options around! 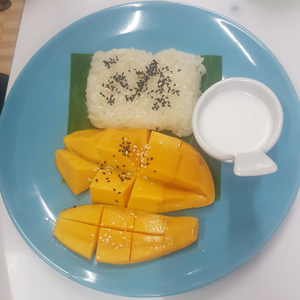 Recently I felt in love with the mango sticky rice, a colourful and delicious Thai dessert! 10. Name the tops 5 places on your bucket list that you haven’t been to yet. Papua – New Guinea , Peru, Tierra del Fuego , Abu Simbel (Egypt), Mexico. But my list is literally endless! 1. What people usually think about your country that is actually wrong? 2. Describe the trickiest moment you ever had throughout a trip. 3. Which country / place disappointed you and why? 4. What was the most terrible action against animals/ planet by humans you have experienced in your travels and how did you react / will you react if it happens again? 5. What is the most amazing place you have been and why? 6. Which language (not your native one!) do you like/ admire and why? 7. What is the best vegetarian food you have ever tried and where? 8. Mention an uncommon travel APP/ website you are in love with and why! 9. What do you say to people who are afraid of travelling (but they would like to)? 10. Which was the most «out of your comfort zone» place you have been to so far and why? 11. 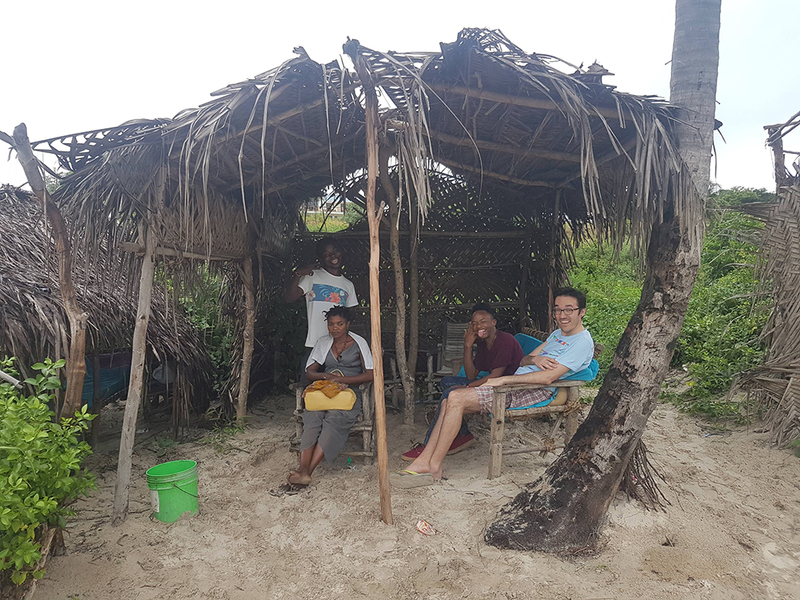 How do you help the locals in less privileged countries you visit? And now my fantastic nominees! 1. Kitty from Canada who travels the world without a return ticket! 2. Jen from the States who travels along with her partner and they have followed a similar itinerary with us so far but we didn’t have the chance to meet each other! 3. Marya from Indonesia with the amazing beautravel (what a fab word!) blog! 4. Ruby from India who gained me when I stumbled upon her menstrual cup review! Go girl, not many travel blogs talk about period! 5. Περιπλανώμενη Αλεπουδίτσα from Greece , a bohemian traveller who loves literature and is vegetarian like me! 6. 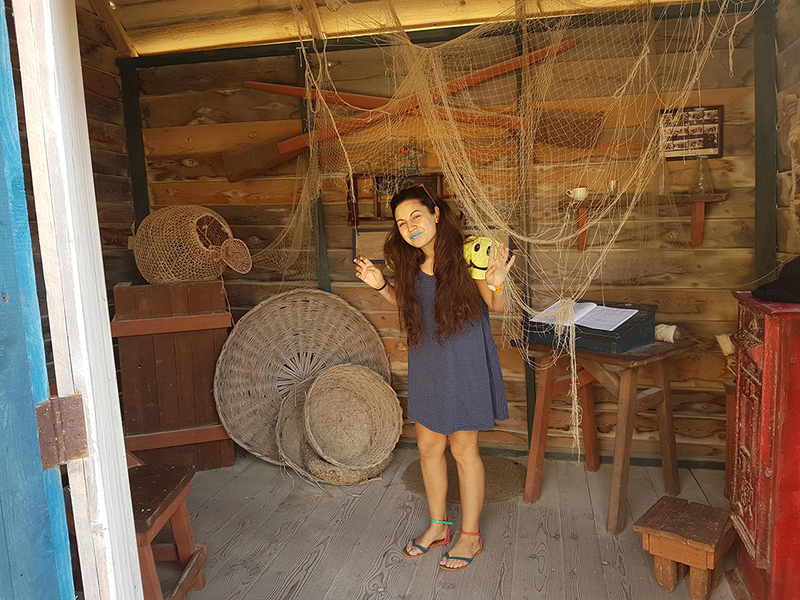 Alex from Canada who lives in Thailand and wants to travel in every UNESCO World Heritage Site! Great goal! 7. Laura from the UK who quit her teaching job for a global adventure! Looking forward to your answers. Good Luck! My Shoes got their sunshine…now it is your turn! Thanks for the nomination! I just got back from a couple weeks through the Philippines — if your plans are flexible I recommend heading out to Palau while you’re there, that’s got to be the best scuba diving destination in the world! Wow, I wont be on this side of the country but thanks anyway for the recommendation ! So far so good here, so I think I will come back in the future and visit Palau too! Thank you so much for your comment too 🙂 Good luck with your future plans! Enjoyed reading your answers. Holy smokes! You designed those shoes?!!! You are so talented and creative!!! ?? Kudos! I also love Thai desserts esp the mango and sticky rice!!! Yes, it is my core studies 🙂 Thank you so much! Very interesting read! Loving to know all your flight related tricks. I love trying new flavors as well from local restaurants to street vendors. Wow! I wish I could travel all year round. I have to check out that workaday program you mentioned! What comes to traveling those western style hotels I think they are kind of an easy landing to new place. If you go to those it’s just fine as long as you also explore the world outside the hotel. I usually take the hotel first time and second time I am more confident to try something else too. 🙂 However, I’m always avoiding those all-inclusives to make sure I cannot just stay in the hotel. This post was very interesting read and taught me a lot about you! Yes you are right, the comfort zone can’t be beaten easily! And of course each person has their personal travelling style! Thanks for reading! Great answers! You truly deserve the Sunshine Award! I would love to do a workaday program- I am jealous. Congrats on your award! Error: Error validating access token: Session has expired on Tuesday, 02-Apr-19 16:48:27 PDT. The current time is Thursday, 25-Apr-19 11:47:45 PDT.